Power Banks or Portable Chargers are a handy accessory for anyone who is on the go. The most important characteristic of a power bank is its capacity. This is measured in mAh (milliampere-hour) - the higher the number the more electrical charge a battery will hold. Some power banks have multiple outputs meaning you can charge more than one device at one time, which may be worth considering if you travel with your iPad and iPhone at the same time. 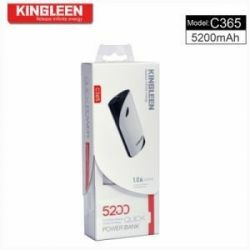 Another factor worth considering is the shape, weight and size of the power bank which can vary considerably across models. Power Banks There is 1 product. A handy power bank for use with USB powered devices. iPhone, iPod, and iPad compatible. Keep your device powered for longer! Use our live messaging service below for instant answers. Not sure which repair to choose? Just use our FREE inspection option and just pay shipping. We will get back to you with a no obligation quote quote.